How are you all doing? I am doing great, getting ready to finish up the didactic (in class) part of my Pharmacy school tomorrow. Today on the blog, I am starting a new section titled "RO Reveals" which will pretty much be a section where I share my personal tips, life issues and just stuff that doesn't relate to a DIY/outfit post. A couple of weeks ago, I shared a fabric haul on my instastory (@raliat.oyinlola) and I took a poll to see if you would like to know how I shop for fabrics online and everyone said yes. Personally, I have always been an avid online shopper even when I used to buy RTW regularly I hated going to the mall to shop. There is just always more options when you shop online. 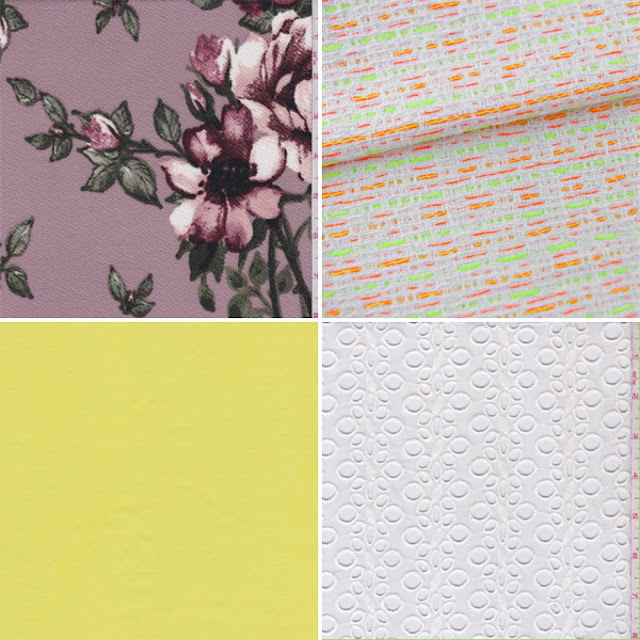 So in today's post I will be sharing my tips for fabric shopping online, favorite online fabric shops and some of my spring/summer fabric wishlist. General Description: This has the overview of the fabric i.e brand, type (cotton, polyester etc), usage (dress, pants, blouse), weight (lightweight, heavyweight), colors and basic description of the fabric. Fabric/Fiber Content: This includes the contents of the fabric, details like the amount of cotton, spandex, lycra (i.e 3% lycra) the fabric has. This section is always vital in knowing how the fabric will feel when you get it in the mail. Width: This is usually 45", 54/55" or 60" which is the width of the fabric. You gauge the amount of fabric needed using the width. You typically would need more yards if the fabric is 45" wide compared to if it was 60" wide. Washing/Care Instructions: This section basically give directions on how to care for your fabric. Some fabrics are machine washable, dry cleaned only, no ironing, and so on. Just take note of it when ordering the fabric. Now onto my favorite online fabric shops and some of my current spring/summer wishlist from there. Fabric.com: This is the 1st online fabric store I discovered about 3 years ago. They carry a wide selection of apparel, home decorating fabrics, notions and patterns. They usually don't have a lot of sales but the fabric pricing is decent. I usually shop for scuba knits, poplins and sateens from this store. I especially love that they have the Telio collection. They offer free shipping over $49 or $4.99 for orders less than that. You typically get your order in less than a week. 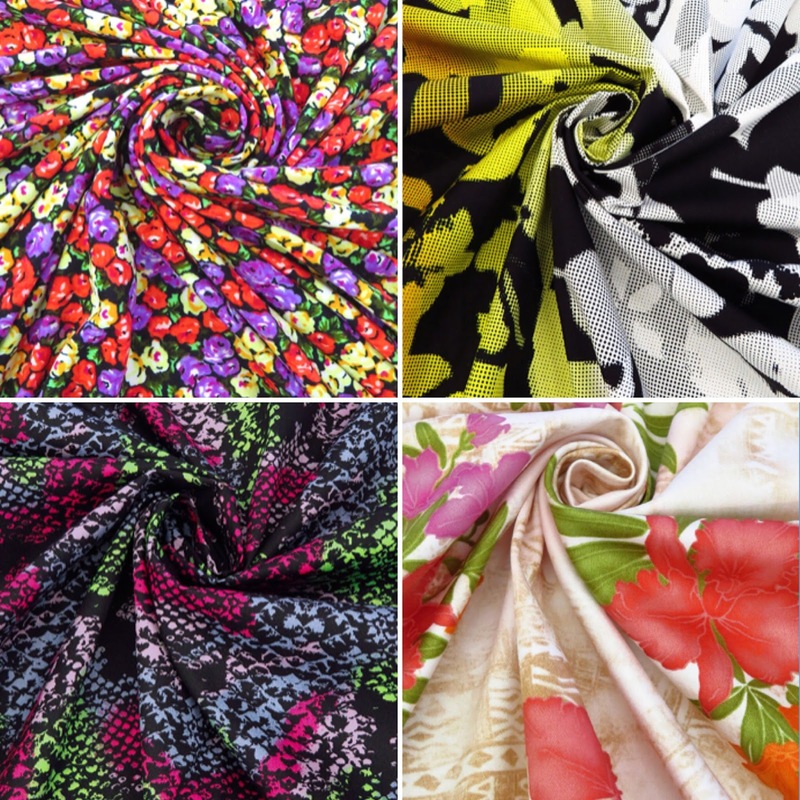 Fabric Mart: I discovered Fabric Mart through some of my sewing friends on Instagram. They carry a wide selection of apparel fabrics, designer fabrics, notions and pattens. I especially love the regular sales they offer including Pre-cut buyouts, $2, $3, $4/yard sales and 60% off fabric section. I would definitely advise to sign up for their newsletter so that you know when the sales start. I find the fabrics I have ordered from Fabric Mart to be of great quality. Their shipping is pretty fast as well, usually less than a week but the shipping price is kinda expensive at $9.99. Mood Fabrics: Everyone knows of the famous Mood Fabrics especially if you watch Project Runway. 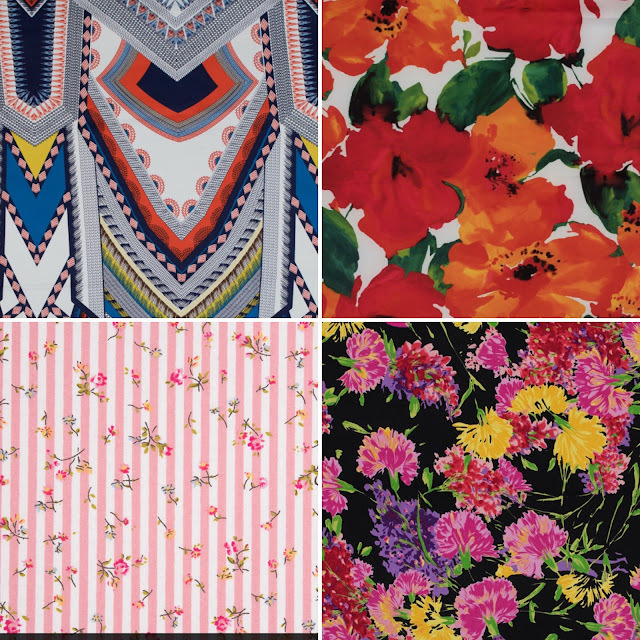 They carry a wide selection of fashion fabrics, designer fabrics, home fabrics, trims and notions. Of course, their fabrics are on the pricey side but the quality is impeccable. I tend to save shopping for fabrics at Mood on special occasions or if I have the spare cash to splurge. They only have sales once in a while (usually during special holidays like 4th of July, Memorial Day, Christmas etc). But every time you shop there, you get a 10% off coupon to use on your next order. Their shipping is pretty fast, also less than a week. Standard shipping is $7.99 and they offer free shipping over $100. 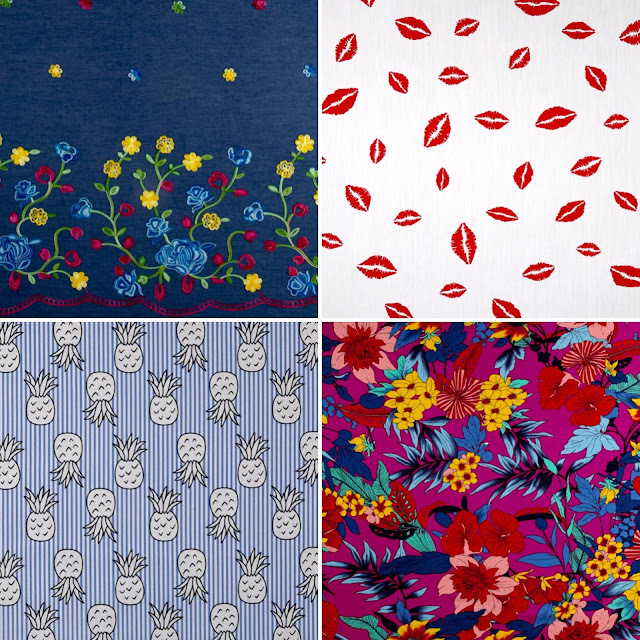 Fashion Fabrics Club: This is probably my go-to fabric stores when it comes to fabric shopping online. 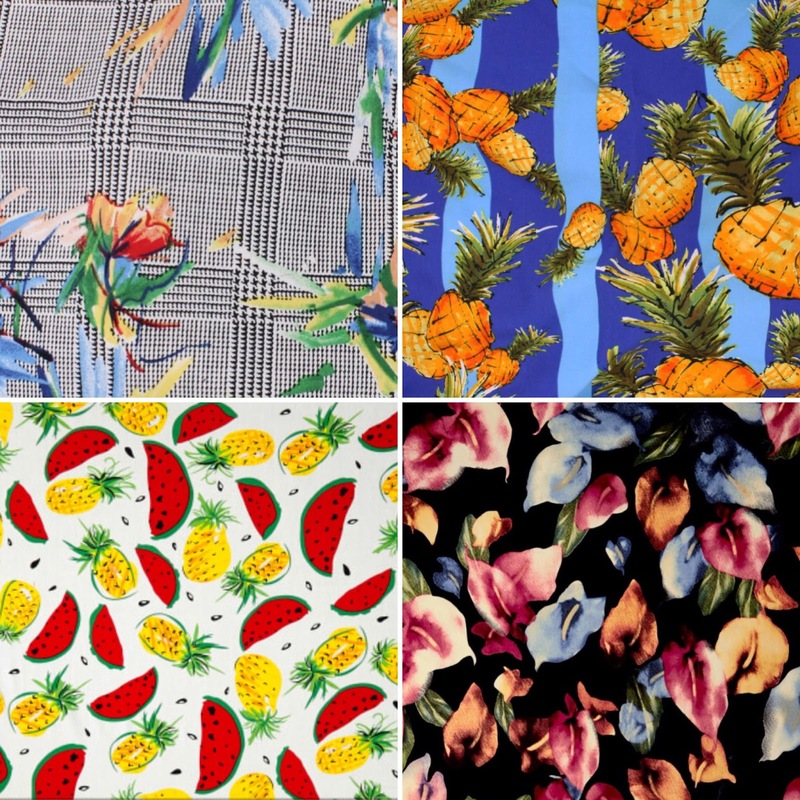 They have a massive selection of apparel fabrics, home decor fabrics and even wholesale fabrics by the bolt. They are the most affordable yet good quality fabric store that I know. They also typically have a sale (usually based on fabric type i.e 25% all cottons or knits) every week. 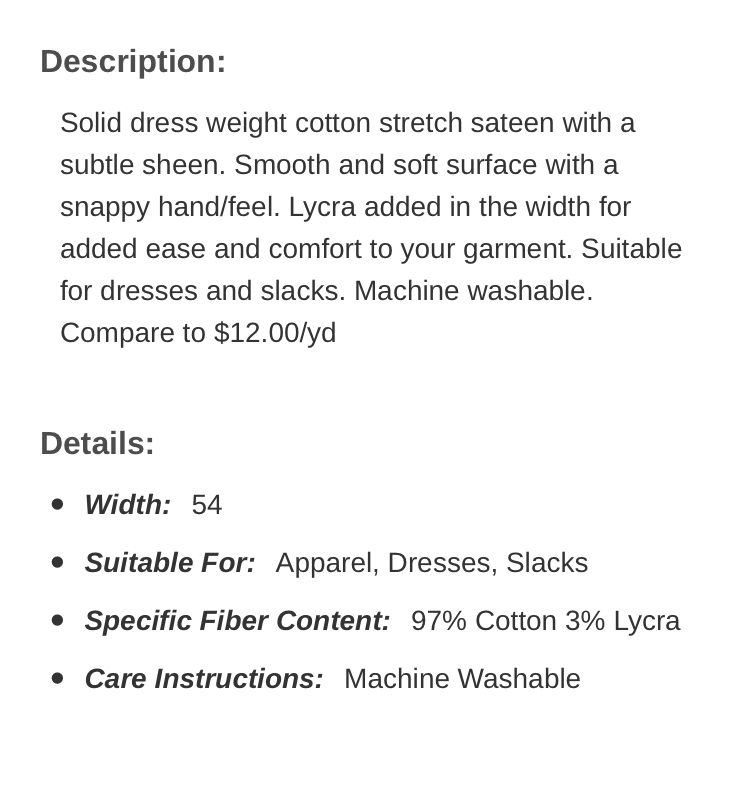 Shipping is also based on the yardage of fabrics you order, and it ranges between $6.95 - $11.95. Once in a while they do offer free shipping. 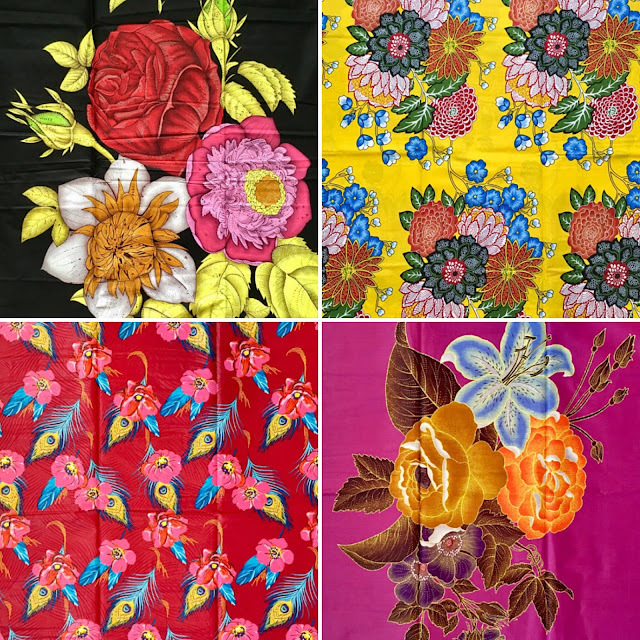 African Prints Fabrics via Etsy: I discovered this fabric store also on Instagram and it's my go-to store for African Prints (Ankara) fabrics. I love that they have a good selection of prints and colors plus they update their stock every week. If you are looking for affordable ankara fabrics online, definitely check them out. They sell their fabric either in 6yards or per yard. Their shipping is also pretty fast and usually based on the yardage of fabric you order. 1. African Print Fabric/ Ankara - Black 6.0 "Epic Blooms"
2. African Print Fabric/ Ankara -Yellow, Blue, Red "Bouquet de Fleurs"
If you really want to know how a fabric feels before ordering it, then order a swatch of it. Most online fabric stores give you the option of ordering swatches. Keep a swatchbook especially if you just started sewing to get familiarized with different fabric types. Simply cut out a small piece of the fabric, tape/staple it in your swatch book and write down the details of the fabric next to it. Keeping a record of the different types of fabric will help to make fabric shopping online easier in the long run. Once you get your fabrics in the mail, pre-wash them . This is necessary to pre-shrink and get rid of manufacturing chemicals. I had to learn this the hard way when I didn't pre-wash the fabric I used to make a top, it shrunk so bad when I finally washed it that I could not wear it again. Fabrics are not cheap, I prefer buying a good quality fabric over one that would not last long. I would advise to sign up for the website's newsletter. Most of these fabric stores have sales regularly. You can also find coupons online to offset the cost. I hope you found this post useful, please let me know if you have any questions or clarifications below. Up next on "RO Reveals", I will be sharing my weight loss journey and how to start a healthy lifestyle, stay tuned!